Cochrane P.V., Rossi G.R., Tunnah L.T., Jonz M.G., and Wright P.A. (2018) Hydrogen sulphide toxicity and the importance of amphibious behaviour in a mangrove fish inhabiting sulphide-rich habitats. J. Comp. Physiology. B. https://doi.org/10.1007/s00360-019-01204-0. Andy J. Turko, Dietmar Kültz, Douglas Fudge, Roger P. Croll, Frank M. Smith, Matthew R. Stoyek, Patricia A. Wright. (2017). Skeletal stiffening in an amphibious fish out of water is a response to increased body weight. J. Exp. Biol. 220: 3621-3631. Platek, A., Turko, A.J., Doning, A., Kelly, S., Wright, P.A. Environmental calcium regulates gill remodeling in an euryhaline teleost fish. J. Exp. Zool. (in press). Zimmer, A.M., Wilson, J.M., Wright, P. A., Hiroi, J., Wood, C.M. 2017. Different mechanisms of Na+ uptake and ammonia excretion by the gill and yolk sac epithelium of early life stage rainbow trout. J. Exp. Biol. (in press). Wright, P. A., Turko, A. J. 2016. Amphibious fishes: evolution and phenotypic plasticity. J. Exp. Biol. 219, 2245-2259. Brunt, E., Turko, A. J., Scott, G. R., Wright, P. A. 2016. 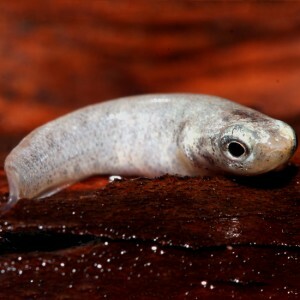 Amphibious fish jump better on land after acclimation to a terrestrial environment. J. Exp. Biol. 219, 3204-3207. Husband, B.C., Better, W.J., Murrant, C.L., Kirby, K., Wright, P. A., Newmaster, S.G., Dawson, J.J., Gregory, T.R., Mullen, R.T., Nejedly A., Van der Merwe G., Yankulov,K., Wolf, P. 2015. Applying a linked-course model to foster inquiry and integration across large first year courses. Can. J. Higher. Ed. 45, 244-260. Wright, P.A., Wood, C.M., Hiroi, J. and Wilson. 2016. (Uncommon) Mechanisms of branchial ammonia excretion in the common carp (Cyprinus carpio) in response to environmentally induced metabolic acidiosis. Physiol. Biochem. Zool. 89, 26-40. Gibson, D.J., Sylvester, E.V.A., Turko, A.J., Tattersall, G.J. and Wright P.A. 2015. Out of the frying pan into the air-emersion behaviour and evaporative heat loss in an amphibious mangrove fish (Kryptolebias marmoratus). Biol. Lett. 11, 20150689. Wells, M.W., Turko, A.J. and Wright, P.A. 2015 Fish embryos on land: terrestrial embryo deposition enhances development in the amphibious fish Kryptolebias marmoratus. J. exp. Biol. 218, 3249-3256 (featured in Inside JEB). Robertson, C., Turko A.J., Jonz, M.G. and Wright, P.A. 2015 Hypercapnia and low pH induce neuroepithelial cell proliferation and emersion behaviour in the amphibious fish Kryptolebias marmoratus. J. Exp. Biol. 218, 2987-2990. Lawrence, M.J., Wright, P.A. and Wood, C.M. 2015. Physiological and molecular responses of the goldfish kidney (Carassius auratus) to metabolic acidosis and potential mechanisms of renal ammonia transport. J. exp. Biol. 218, 2124-2135. Turko, A.J. and Wright, P.A. 2015. Evolution, ecology and physiology of amphibious killifishes (Cyprinodontiformes). J. Fish Biol. 87, 815-835. Turko, A.J., Robertson, C., Bianchini, K., Freeman, M. and Wright, P.A. 2014. The amphibious fish Kryptolebias marmoratus uses alternative strategies to maintain oxygen delivery during hypoxia and air exposure. J. exp. Biol. 217, 3988-3995.
Zimmer, A.M., Wright, P.A. and Wood, C.M. 2014. What is the primary function of the early gill in developing rainbow trout (Oncorhynchus mykiss)? Evidence for Na+-coupled ammonia excretion. Proc. Roy. Soc. B. 281: 20141422. Wright, P.A., Wood, C.M. and Wilson, J.M. 2014. Rh vs pH: The role of Rhesus glycoproteins in renal ammonia excretion during metabolic acidosis in a freshwater teleost fish. J. exp. Biol. 217, 2855-2865. Porteus, C.S., Wright, P.A. and Milsom, W.K. 2014. Characterization of putative oxygen chemoreceptors in bowfin (Amia calva). J. exp. Biol. 217, 1269-1277. Porteus, C.S., Wright, P.A. and W.K. Milsom. 2014. Time domains of the hypoxic cardio-respiratory response in bowfin (Amia calva). Resp. Physiol. Neurobiol. 192, 118-127. Bianchini, K. and Wright, P.A. (2013). Hypoxia delays hemotopoiesis: retention of embryonic haemoglobin and erythrocytes in larval rainbow trout, Oncorhynchus mykiss, during chronic hypoxia exposure. J. exp. Biol. 216, 4415-4425.
Cooper, C.A., Wilson, J.M. and Wright, P.A. (2013). Marine, freshwater and aerially acclimated mangrove rivulus (Kryptolebias marmoratus) use different strategies for cutaneous ammonia excretion. Am. J. Physiol. Regul. Integr. Comp. Physiol. 304, R599-R612. Dhiyebi, H. A., O’Donnell, M. J., & Wright, P. A. (2013). Water chemistry in the microenvironment of rainbow trout Oncorhynchus mykiss embryos is affected by development, the egg capsule and crowding. Journal of fish biology, 82(2), 444-457. Ellison, A., Wright, P., Taylor, D. S., Cooper, C., Regan, K., Currie, S., & Consuegra, S. (2012). Environmental diel variation, parasite loads, and local population structuring of a mixed‐mating mangrove fish. Ecology and evolution,2(7), 1682-1695. Bianchini, K., Tattersall, G. J., Sashaw, J., Porteus, C. S., & Wright, P. A. (2012). Acid Water Interferes with Salamander–Green Algae Symbiosis during Early Embryonic Development. Physiological and Biochemical Zoology, 85(5), 470-480. Wright, P. A. (2012). Environmental physiology of the mangrove rivulus, Kryptolebias marmoratus, a cutaneously breathing fish that survives for weeks out of water. Integrative and comparative biology, 52(6), 792-800. Wright, P. A., & Wood, C. M. (2012). Seven things fish know about ammonia and we don’t. Respiratory physiology & neurobiology, 184(3), 231-240. Turko, A. J., Cooper, C. A., & Wright, P. A. (2012). Gill remodelling during terrestrial acclimation reduces aquatic respiratory function of the amphibious fish Kryptolebias marmoratus. The Journal of experimental biology, 215(22), 3973-3980. Turko, A. J., Earley, R. L., & Wright, P. A. (2011). Behaviour drives morphology: voluntary emersion patterns shape gill structure in genetically identical mangrove rivulus. Animal Behaviour, 82(1), 39-47. Wright, P.A. (2011). Ureotelism in Encyclopedia of fish physiology: from genome to environment. Academic Press. Sanderson, L. A., Wright, P. A., Robinson, J. W., Ballantyne, J. S., & Bernier, N. J. (2010). Inhibition of glutamine synthetase during ammonia exposure in rainbow trout indicates a high reserve capacity to prevent brain ammonia toxicity. The Journal of experimental biology, 213(13), 2343-2353. LeBlanc, D. M., Wood, C. M., Fudge, D. S., & Wright, P. A. (2010). A fish out of water: gill and skin remodeling promotes osmo-and ionoregulation in the mangrove killifish Kryptolebias marmoratus. Physiological and Biochemical Zoology, 83(6), 932-949. Sashaw, J., Nawata, M., Thompson, S., Wood, C. M., & Wright, P. A. (2010). Rhesus glycoprotein and urea transporter genes in rainbow trout embryos are upregulated in response to alkaline water (pH 9.7) but not elevated water ammonia. Aquatic toxicology, 96(4), 308-313. Currie, S., Bagatto, B., DeMille, M., Learner, A., LeBlanc, D., Marks, C., Ong, K., Parker, J., Templeman, N., Tufts, B.L. & Wright, P. A. (2009). Metabolism, nitrogen excretion, and heat shock proteins in the central mudminnow (Umbra limi), a facultative air-breathing fish living in a variable environment. Canadian Journal of Zoology, 88(1), 43-58. Wright, P. A., & Wood, C. M. (2009). A new paradigm for ammonia excretion in aquatic animals: role of Rhesus (Rh) glycoproteins. The Journal of experimental biology, 212(15), 2303-2312. Hung, C. C., Nawata, C. M., Wood, C. M., & Wright, P. A. (2008). Rhesus glycoprotein and urea transporter genes are expressed in early stages of development of rainbow trout (Oncorhynchus mykiss). Journal of Experimental Zoology Part A: Ecological Genetics and Physiology, 309(5), 262-268. Nawata, C. M., Hung, C. C., Tsui, T. K., Wilson, J. M., Wright, P. A., & Wood, C. M. (2007). Ammonia excretion in rainbow trout (Oncorhynchus mykiss): evidence for Rh glycoprotein and H+-ATPase involvement. Physiological genomics, 31(3), 463-474. Mackie, P. M., Gharbi, K., Ballantyne, J. S., McCormick, S. D., & Wright, P. A. (2007). Na/K/2Cl− cotransporter and CFTR gill expression after seawater transfer in smolts (0+) of different Atlantic salmon (Salmo salar) families. Aquaculture, 272, 625-635. Wright, P. A., Steele, S. L., Huitema, A., & Bernier, N. J. (2007). Induction of four glutamine synthetase genes in brain of rainbow trout in response to elevated environmental ammonia. Journal of Experimental Biology, 210(16), 2905-2911. Hung, C. Y. C., Tsui, K. N. T., Wilson, J. M., Nawata, C. M., Wood, C. M., & Wright, P. A. (2007). Rhesus glycoprotein gene expression in the mangrove killifish Kryptolebias marmoratus exposed to elevated environmental ammonia levels and air. Journal of Experimental Biology, 210(14), 2419-2429.